Purple Pam is the singer and writer for the band Purple Pam and The Flesh Eaters, and you will also see Purple Pam in several Troma Films. Based out of New York City, New York, her hot sauces have the same out of the box flare and style as her stage presence, bold, strong and in your face! I'm sure you will love the flavor of her sauces as much as I do. 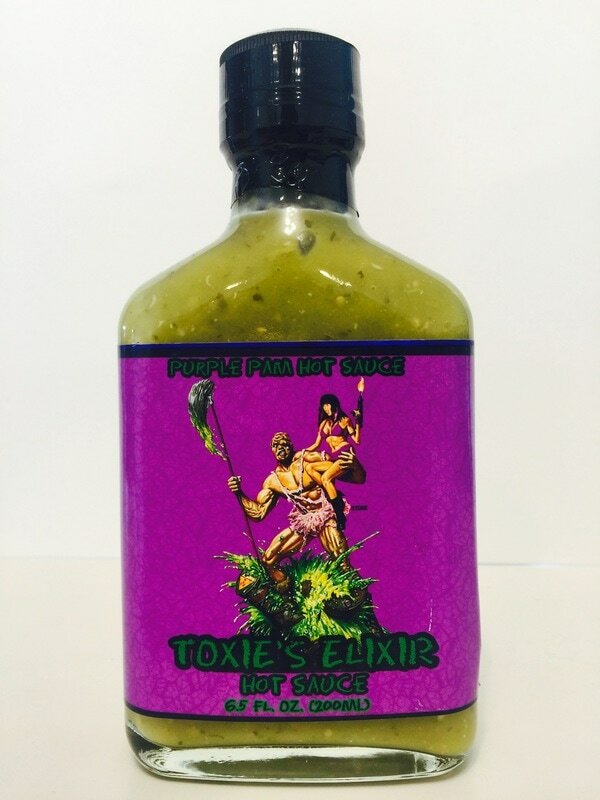 TOXIE'S ELIXIR from PURPLE PAM.. Straight out of Troma films comes The Toxic Avenger. He's green, strong and ready to take on the world, and Purple Pam has captured this super hero in a bottle with her verti style hot sauce. The flavor hits you with chunks of tomatillos, jalapeño and serrano peppers, vinegar, salt, garlic, cilantro, onions, a hint of lime and a little more heat from the ghost pepper. I like the smooth and creamy texture you get from the addition of olive oil. 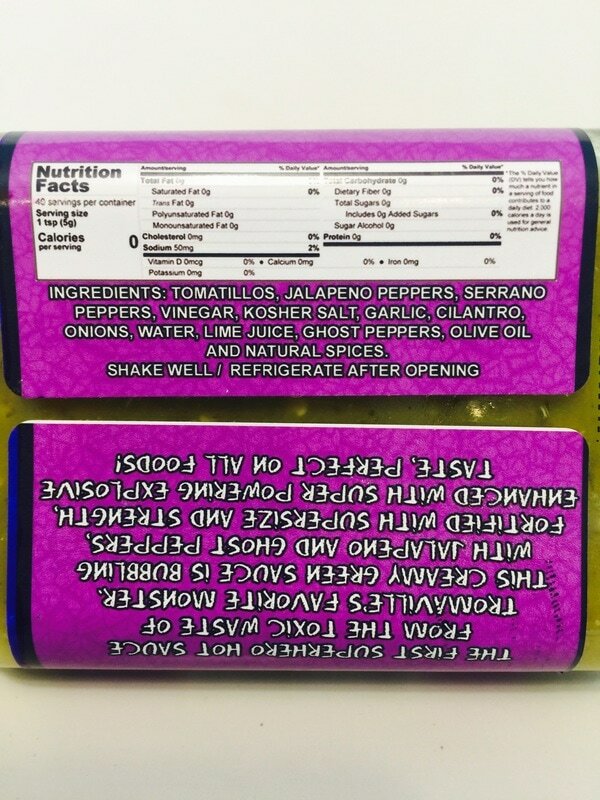 I used this on pizza, hot dogs, hamburgers, mixed with mustard for dipping or just pour on tortilla chips as a salsa. 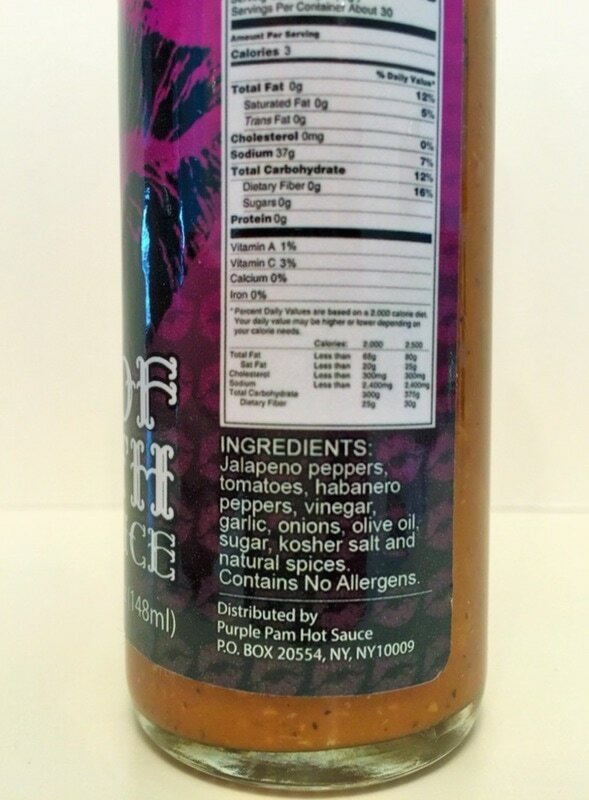 This sauce is a unique verti sauce just like Purple Pam herself! KISS OF DEATH from PURPLE PAM.. 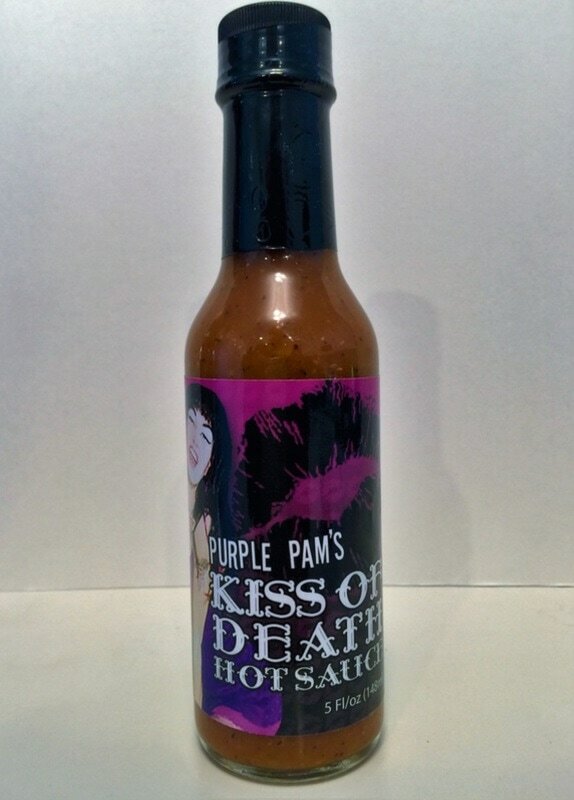 Here is a sauce from Purple Pam herself. She came up with the idea for this hot sauce from her love of spicy foods. You can taste the freshness of this sauce at first bite. It reminds me of a cross of a fresh salsa and a marinara, with just the right amount of heat. The addition of both jalapeno and habanero peppers adds just the flavor profile this sauce needs to keep the heat going. The mixture of the tomato, onion, garlic, sugar, salt and spices, with just a hint of vinegar, are fantastic. This sauce works great with any food to add a nice spice, without overpowering the flavor. I even like using it on chips like a salsa. Just like Purple Pam and the Flesh Eater's music, it keeps hitting, and you will keep coming back for more. 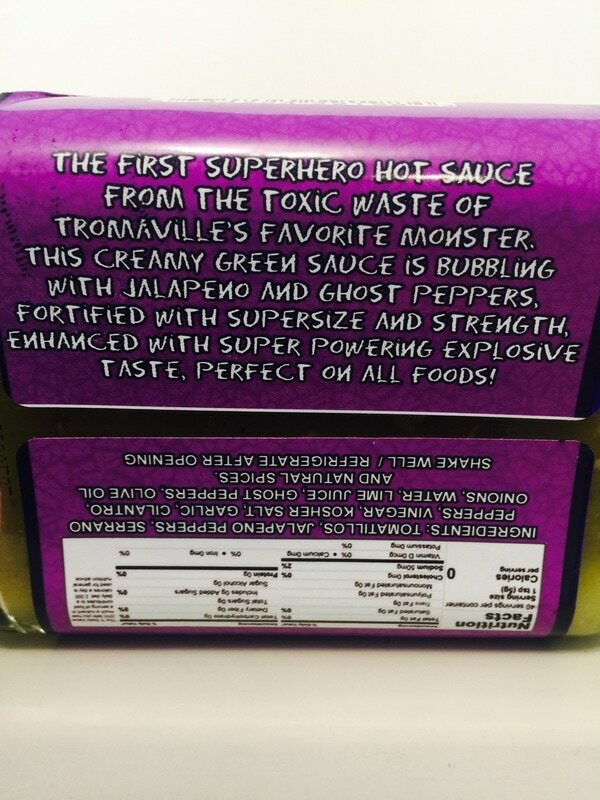 I can see why this sauce won a Mimi award at the 2016 New York Hot Sauce Expo.